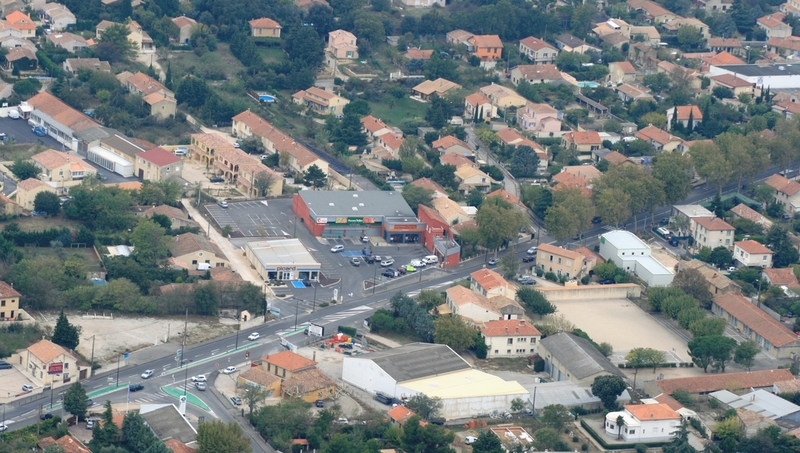 Avignon, France’s combination of religious prestige and a lively student and arts community makes it an incredible French destination. 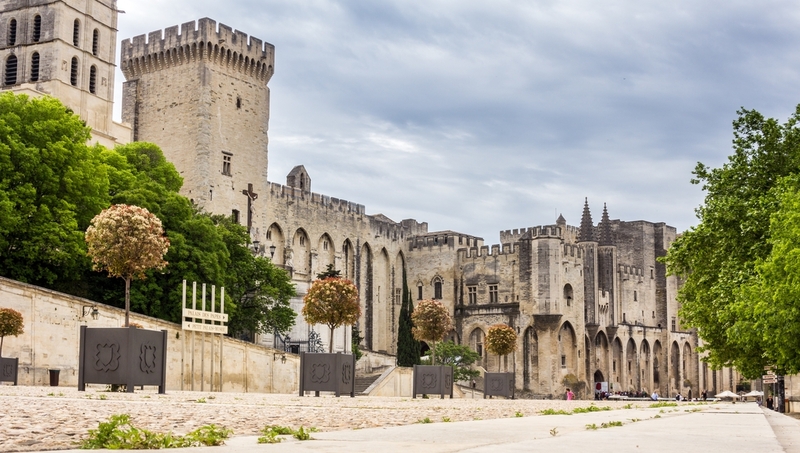 Don’t miss these Avignon essentials! 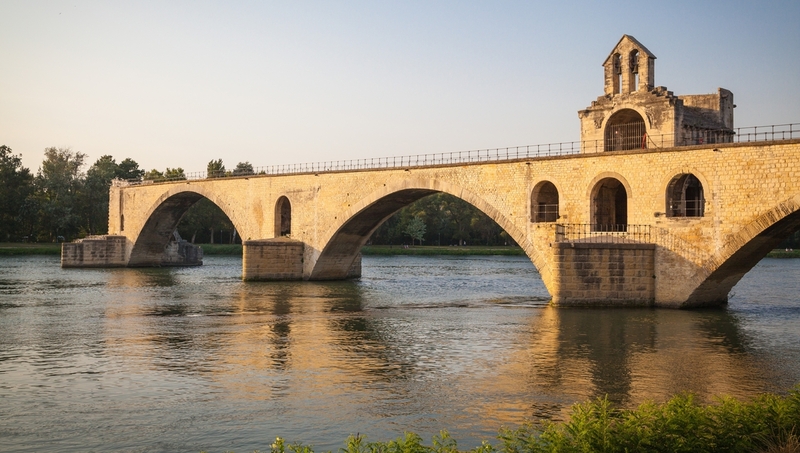 There’s a lot more to the city than this famous Avignon bridge, but walking across it is a must. It’s the height of the city’s romantic history. 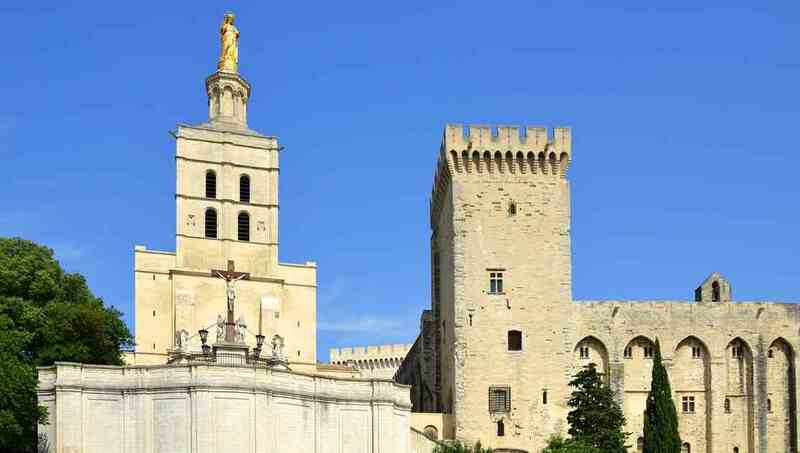 Located in the heart of Avignon is this magnificent Gothic fortress. Clear your schedule; exploring this gigantic complex will take the entire day. Art lovers and history buffs will love this medieval Christian collection. The Cathedrale Notre-Dame des Domes is simply gorgeous from the outside, but stepping inside will take your breath away. 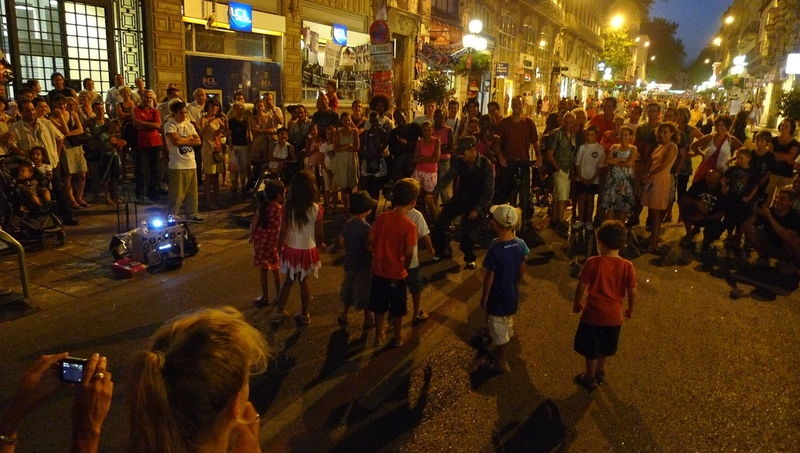 Avignon in July brings a once in a lifetime opportunity: Festival d’Avignon, one of the world’s greatest contemporary performing arts festivals. This free natural history museum is simple and elegant. The best exhibition focuses on the reintroduction of wolves in France, but be warned—English is limited. 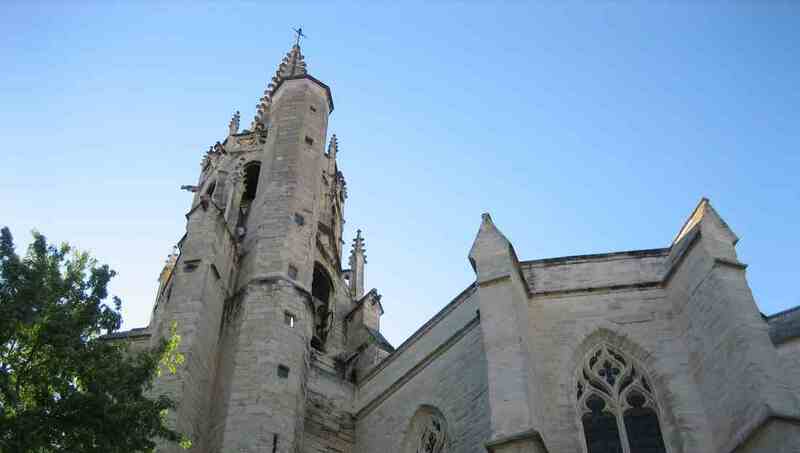 Wandering through this peaceful church filled with incredible art is a must do for Avignon. Rent a car and head a half hour north to Orange. Despite its beautiful Roman architecture, it’s not a popular tourist destination, leaving the city fascinatingly eerie. Nothing compares to a train ride through France. Arrive early, get your seat, and relax and enjoy the roughly 3-hour trip. The walled and cobbled old town is the perfect place to wander through lantern-lit lanes finding gem after gem. Tourist seasons goes from about April to September, when the weather is warm and all the shops and restaurants are open. July and August are the hottest and most crowded, so plan your trip based on your preferences. 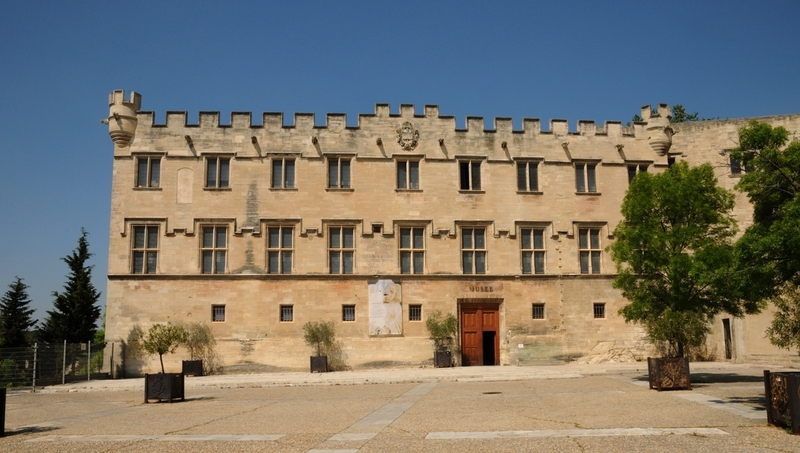 Want to discover all there is to do in Avignon? Click here for a full list. Perfect afternoon with a wonderful guide! We were so lucky to be taken on a half day wine tour with Emmanuel. Not only was he friendly and welcoming, he was also incredibly knowledgeable and engaging. This was my first wine tour and I learnt so much about wine, as well as the area of Provence and Occitane. My sister and I joined a couple from the USA and all had such a wonderful time. Thank you Emmanuel for making our visit such a memorable one! Lovely historical towns, enjoyable day despite awful rain. David does an excellent job as a driver and guide. He made an excellent recommendation for lunch..just enough interesting historical facts. He was very patient with 3 other rude Chinese travelers. I would recommend. We enjoyed a fantastic tour with Connie to 3 wine-tastings & had the benefit of her extensive knowledge & informative descriptions of the Rhone Valley. We joint Friday morning tour, was little worried if too early for wine, but turned out there were a nice place (Theatre Orange) to visit first then wineyard after. Perfect for the half day. Our lady guide Doreen explained every places well and took us around smoothly. Timing was good and we enjoyed it all. We had the best tour and it was all due to the knowledge of our guide. I cannot say enough good things about this tour. The group was wonderful. Every site we were taken to was a memory. However the highlight of our trip was George (Hi George).